Lucia de Suñer Machado was born in the Island of Tenerife and spent much of her life travelling around the world. She Currently resides in the Canary Islands, where she produces a part of her fashion collections, developing the dissemination of ethnic and cultural values, developing projects of public interest at an institutional level. 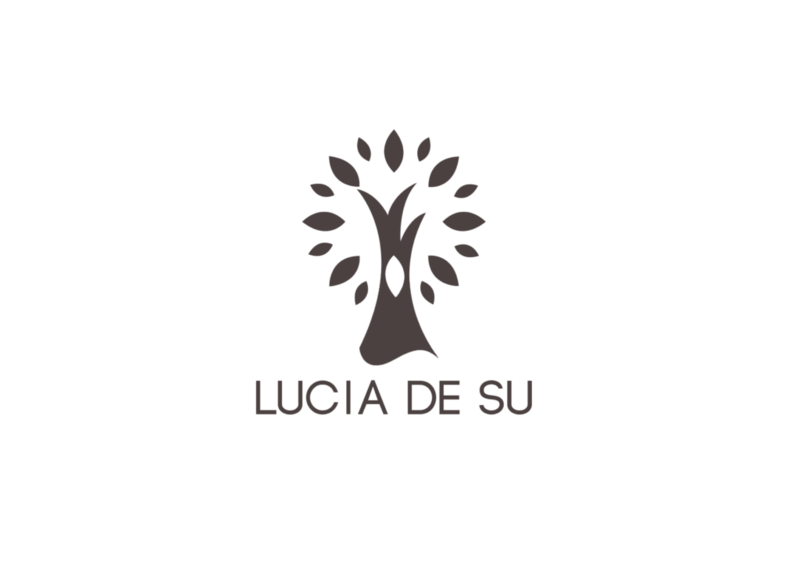 Today the brand LUCIA DE SU disseminates and promotes cultural elements within the context of fashion and accesories. This trajectory began due to the passion for art, through the management of contemporary art galleries, which cristalized her sensitivity towards ethnic particularities. After graduating in Art and Antiquariat, she began to collaborate with contemporary galleries such as ISY Brachot in Brussels, Jorge Alcolea and Nieves Fernández in Madrid, Leyendecker in Tenerife, Cleto Polcina in Rome, and was director of the contemporary art galleries KU of Ibiza. 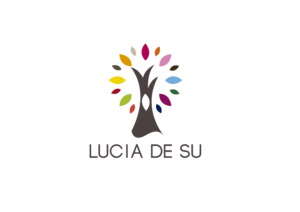 This is how the brand LUCIA DE SU emerged, which created not only clothes but also accessories; bags, towels, sandals and jewelry. In her first collection she uses an ancestral fabric from Africa called KANGA that wraps the bodies of the African woman. These fabrics are made of bright colors, original designs, genuine prints and represent small works of art themselves. Each KANGA has a phrase stamped on it, a proverb written in Ki-Swahili and according to its meaning the KANGA will be used at different and special moments of a woman’s life. KANGA is the main mean of expression for women in West Africa. A woman personally follows the integral process for the realization of the KANGA, from the search for materials, to design, production and distribution. Following the investigation of the African ancestral fabrics, Lucia travels the African continent promulgating the variety of fabrics of each place in her catwalks, revealing the cultural treasure of Africa. The Kenyan woman was able to communicate her thoughts and ideas since 1800 through the KANGAS they wore, long before the European woman could express her ideas publicly. Above all, these messages were accepted and respected. Today LUCIA DE SU, a conceptual artist from the Canary Islands, is making European fashion from the originality and origin of African culture. Teaching the world the beauty of the African ancestral culture, being each fabric unique and handmade. Dressing this culture, with our own message, we are not only differentiating ourselves from the global standards of the fashion world, but we are part of this great social work giving jobs to the African continent. This initiative was awarded by UNESCO for promoting the Heritage of Ancestral Cultures. The fabric whose purpose was eminently practical, utilitarian, and whose use does not refer only to clothing, but to objects of daily life and of the home, has undoubtedly a cultural meaning because it illustrates the way in which people are related with their surroundings and conceive the world; It embodies an aesthetic tradition and also synthesizes the evolution of that vision and its perception of itself. Through the art of weaving – one of the first human activities – each culture shows its identity, its structure, the evolution of its technical knowledge, the way in which the community is organized and the people are related. Thus, the woven object can be considered part of a non-verbal language through which the person who uses it communicates to others not only what culture it belongs to, making its identity visible, but also the role it must play -or chooses to play- in given culture, its links with the past and also its hopes for the future. In this sense, the fabric that is elaborated by a specific culture following patterns, designs and ancestral knowledge, has a material tangible dimension which is given by the capacity of said culture to become visible in what it weaves. Now, they also have an immaterial, intangible dimension, which implies, figuratively, a way of being peculiar and unrepeatable. Making a fabric is not a mechanical act, devoid of meaning, but a profoundly symbolic act that entails a way of contemplating life, of creating, in which each thread, or each piece of cloth, each stitch has its meaning, tells a story and connects with a mythical space where the sacred is often present. From this point of view, knowledge and protection of the ancestral tissues of each town can undoubtedly help to understand the richness of its history and its cultural diversity. On the other hand, the preservation of both the material and immaterial dimensions of those fabrics that many people continue to elaborate will serve to keep their cultural heritage alive. This is undoubtedly a matter of vital importance in an era in which the standardization of culture threatens to destroy one’s identity, the only place from which the relationship with others, transformations and the search for new opportunities makes sense.